This property is just one of my favorites! From the time We check in until the time we leave it’s so relaxing! 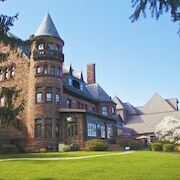 Where to find Seneca Falls hotels near an airport? Where can I find hotels in Seneca Falls that are near tourist attractions? Looking for an apartment or hotel within a short driving distance of central Seneca Falls? Within easy driving distance from central Seneca Falls you'll discover 6 short-stay and long-stay accommodation options from which to choose. The The Gould Hotel is a popular accommodation option due to the fact that it is so handy to Seneca Falls' center. Expedia's accommodation database offers just a few budget accommodation options in Seneca Falls. 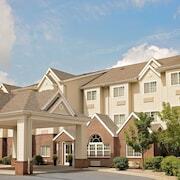 The Microtel Inn & Suites by Wyndham Seneca Falls is one such listing. 35 kilometres (22 miles) away from the center of Seneca Falls, is the Finger Lakes Bed and Breakfast. Alternatively, the Hampton Inn Seneca Falls is 3 kilometres (2 miles) away. 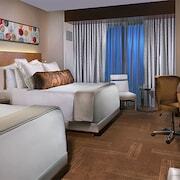 Two other places to stay include the Ramada Geneva Lakefront and the Hampton Inn Geneva. Like to venture a bit further afield? Finger Lakes Region offers many attractions. Explore Finger Lakes Region's craft workshops and open-air markets. Those with a hankering for wide open spaces and fresh air should also take the time to enjoy its lakes. Popular activities in this particular part of United States of America include cross-country skiing and hiking. 35 kilometres (22 miles) to the southwest of Seneca Falls you will find Penn Yan, where you can enjoy Torrey Ridge Winery and Prejean Winery. Penn Yan hotels include the Best Western Plus Vineyard Inn & Suites and Microtel Inn & Suites Penn Yan Finger Lakes Region. Alternatively, you could consider staying at Geneva, 16 kilometres (10 miles) to the west of Seneca Falls, where you can pick from the Americas Best Value Inn and Days Inn Geneva. The Ventosa Vineyards and Seneca Lake State Park are popular points of interest to explore for those visiting Geneva. Just because you're on vacation, doesn't mean you can't indulge in your love of sporting events. Carrier Dome is situated 55 kilometres (34 miles) to the east of Seneca Falls. For visitors who are keen on sleeping nearby, make a reservation in the Sheraton Syracuse University Hotel & Conference Center or Residence Inn Syracuse Downtown At Armory Square. Tompkins Regional Airport is a logical airport, and is located 55 kilometres (34 miles) away from Seneca Falls. Hotels that are nearby include The Statler Hotel at Cornell University and Courtyard by Marriott Ithaca Airport/University. What are the most popular Seneca Falls hotels? Are there hotels in other cities near Seneca Falls? What other types of accommodations are available in Seneca Falls? Explore Seneca Falls with Expedia.ca’s Travel Guides to find the best flights, cars, holiday packages and more!